On October 10, 1699, a fleet of eight canoes bearing a party of French explorers entered the mouth of Root River. These were the first known white men to visit what is now Racine County. They founded a French trading post in the area which eventually became a small settlement on Lake Michigan near where the Root River empties into Lake Michigan. 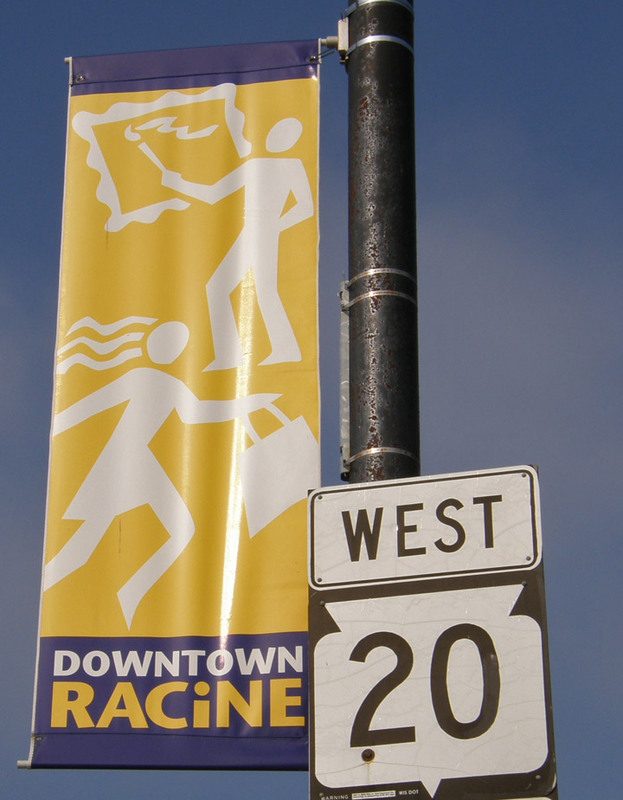 That is why Racine has a French name: "racine" means "root" in the French language. 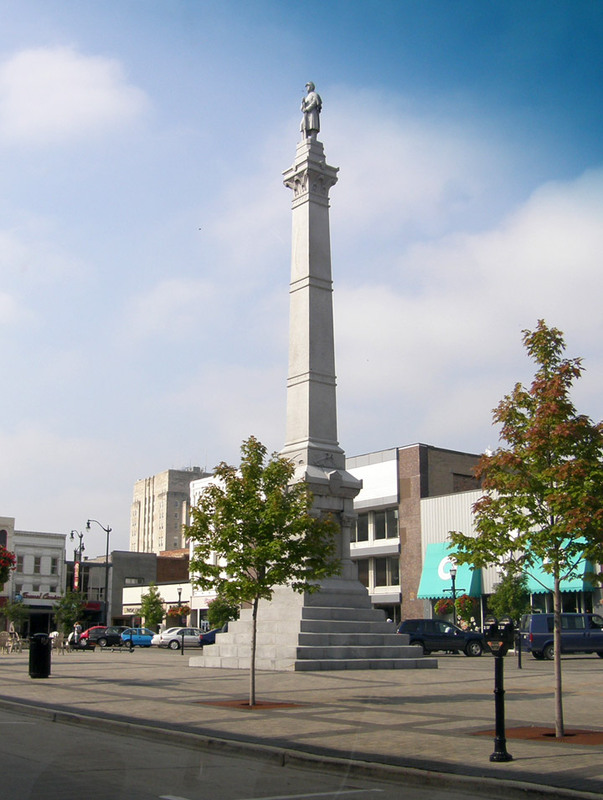 In 1832, just after the Blackhawk War, the area surrounding Racine was settled by Yankees from upstate New York, looking for new horizons for their entrepreneurial urges. Gilbert Knapp, a Lake boat captain in 1834, founded the settlement of Port Gilbert at the place where the Root River empties into Lake Michigan. 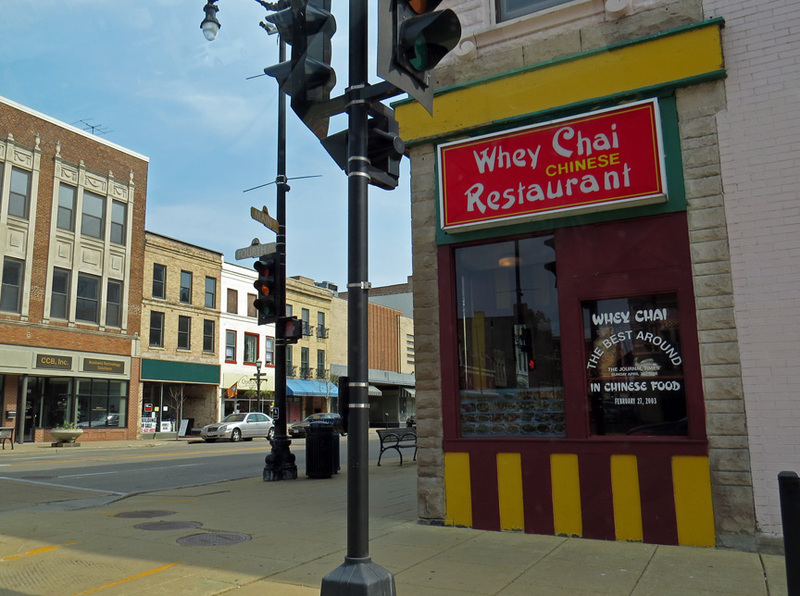 The area was previously called Kipi Kawi and Chippecotton by the indigenous peoples, both names for the Root River. 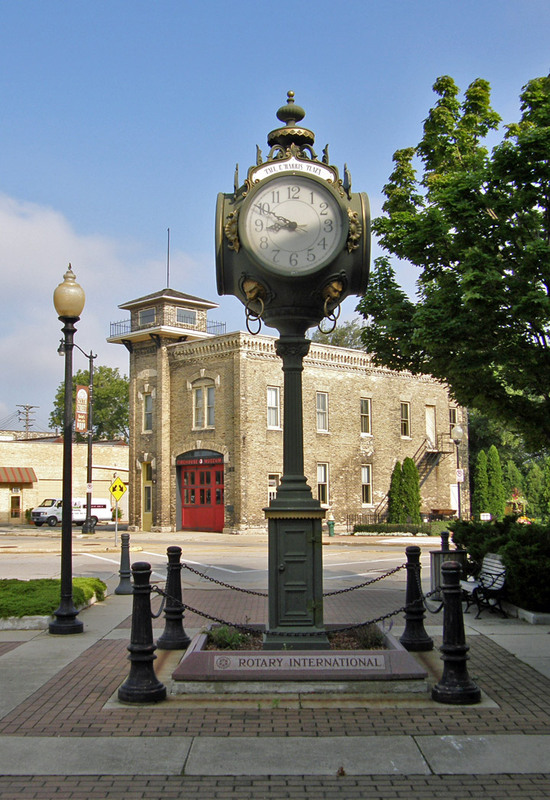 The name "Port Gilbert" was never really accepted, and in 1841, the community was incorporated as the village of Racine. 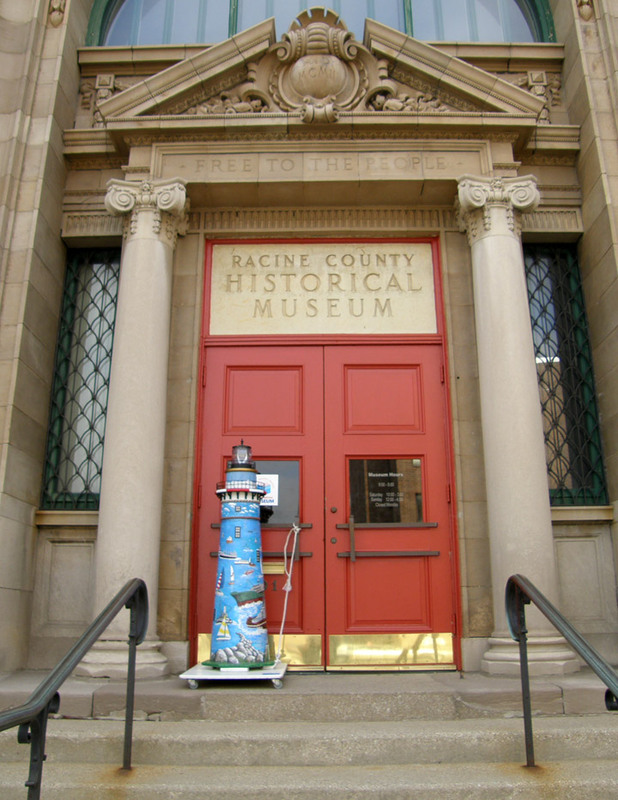 (The word "racine" means "root" in French). 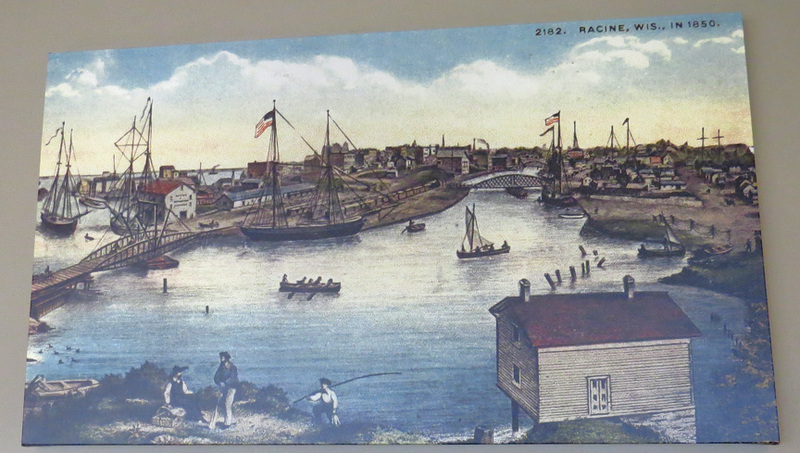 After Wisconsin's statehood was granted in 1848, the new legislature voted in August to incorporate Racine as a city. 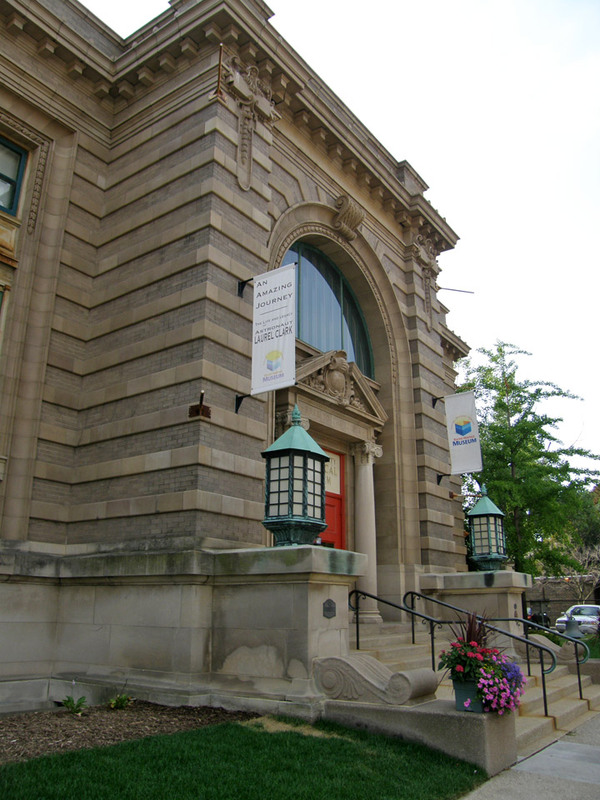 Before the American Civil War, Racine was well known for its strong opposition to slavery. 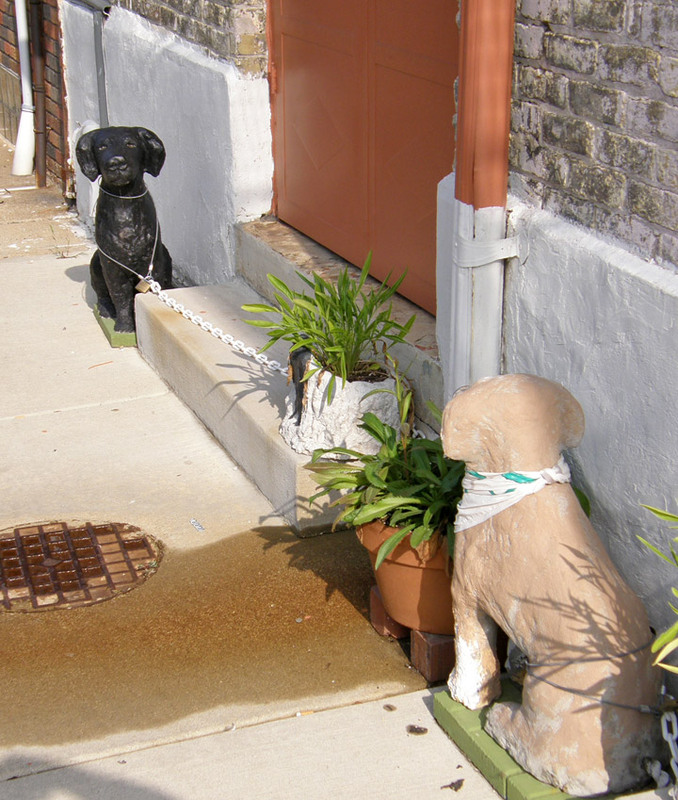 Many slaves escaping to freedom via the Underground Railroad passed through the city. In 1854 Joshua Glover, an escaped slave who had made a home in Racine, was arrested by federal marshals and taken to a jail in Milwaukee. One hundred men from Racine, and ultimately 5,000 Wisconsinites, rallied and broke into the jail to free him. He was helped to escape to Canada. Glover's rescue gave rise to many legal complications and a great deal of litigation. 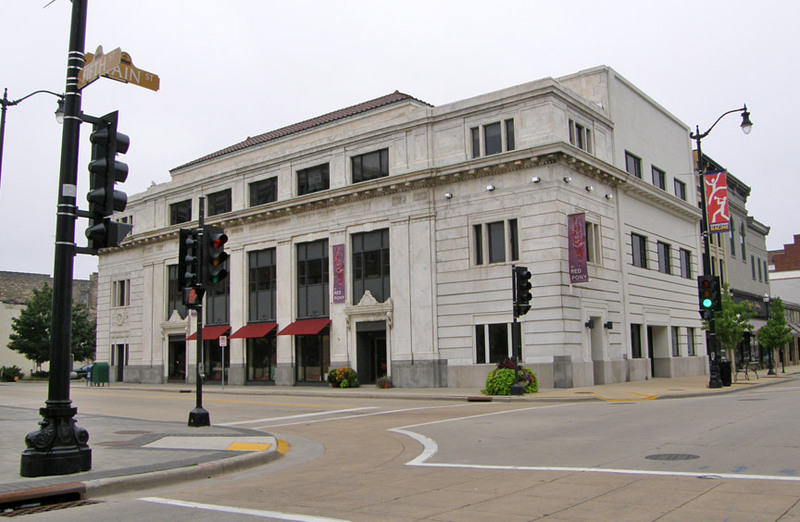 This eventually lead to the Wisconsin Supreme Court declaring the Fugitive Slave Law of 1850 unconstitutional, and later, the Wisconsin State Legislature refusing to recognize the authority of the U.S. Supreme Court. 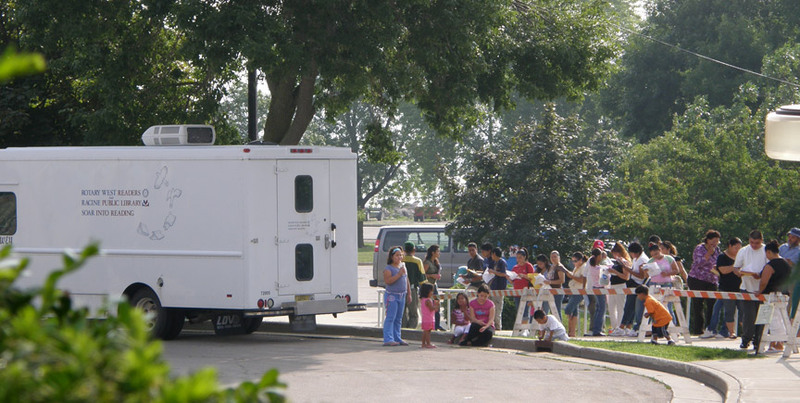 Waves of immigrants, including Danes, Germans, and Czechs began to settle in Racine between the Civil War and the First World War. 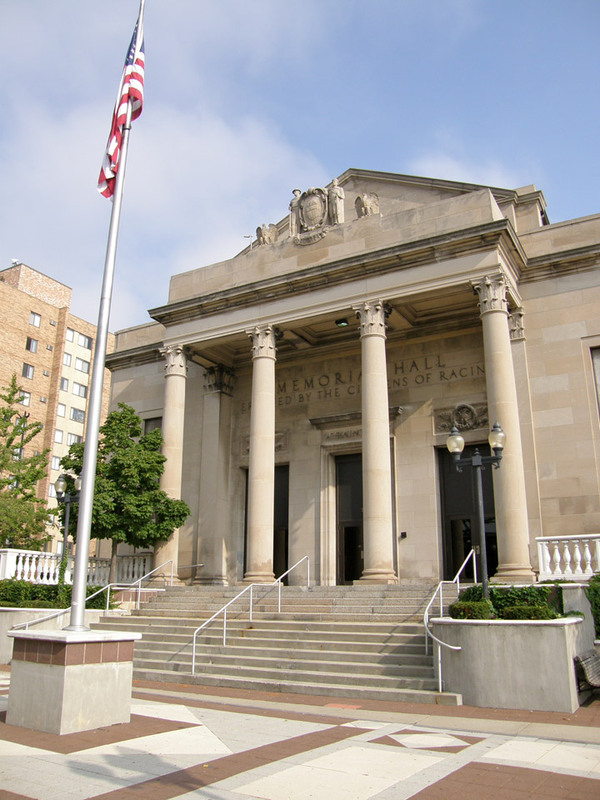 African Americans started arriving in large numbers during World War I, as they did in other Midwestern industrial towns, and Mexicans started migrating to Racine from roughly 1925 onward. 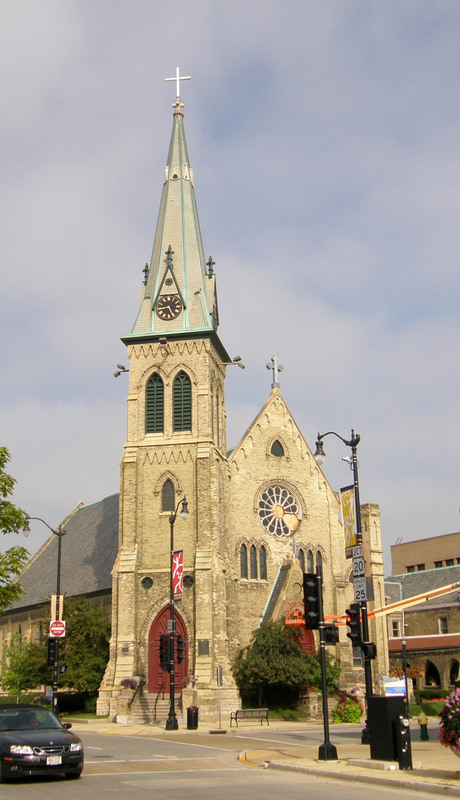 Unitarians from New England initially dominated Racine's religious life, as they did in other parts of the Upper Midwest before 1880. 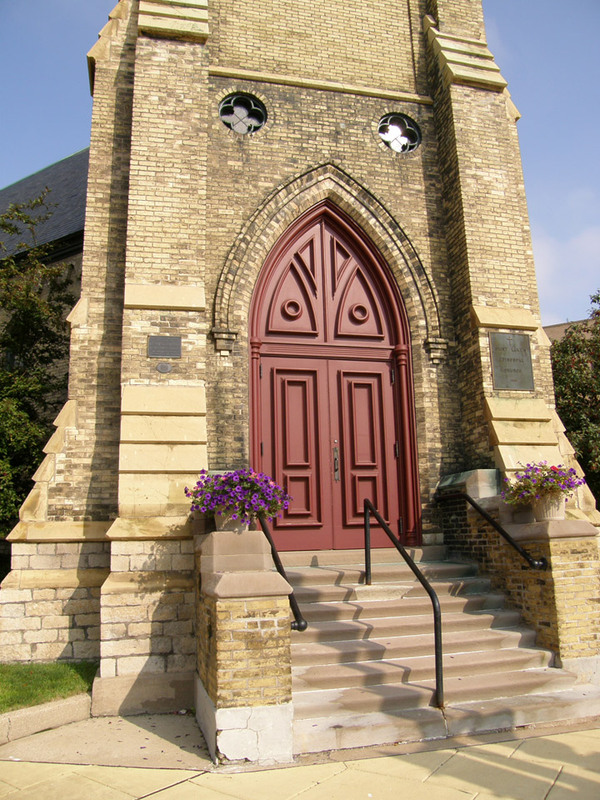 Racine's Emmaus Lutheran Church is the oldest Danish Lutheran Church in North America, founded on August 22, 1851. 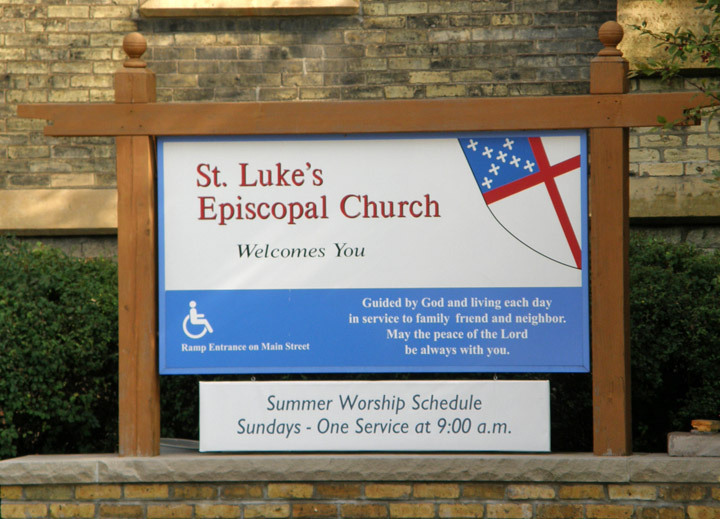 Emmaus Lutheran, originally part of the American Lutheran Church (ALC), merged with the Lutheran Church in America (LCA) in 1988, to form the Evangelical Lutheran Church in America (ELCA). 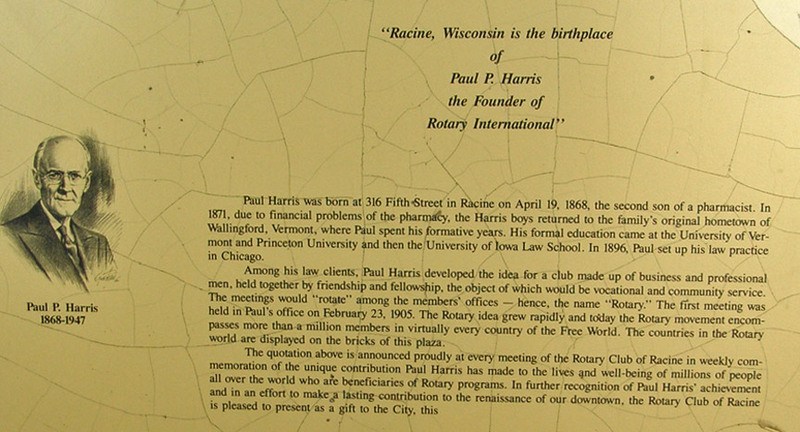 Racine was a factory town almost from the very beginning. 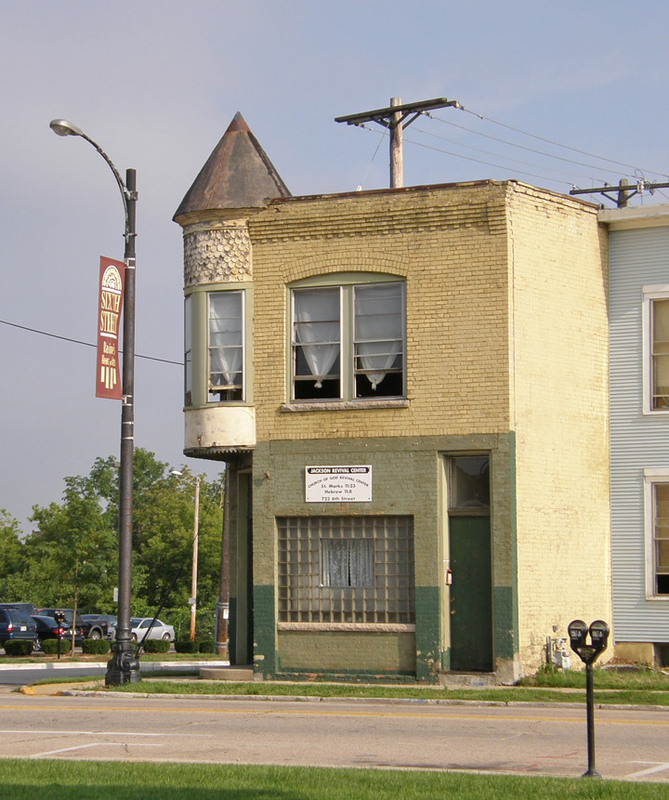 The first industry in Racine County included the manufacture of Fanning mills, machines that separated wheat grain from chaff. 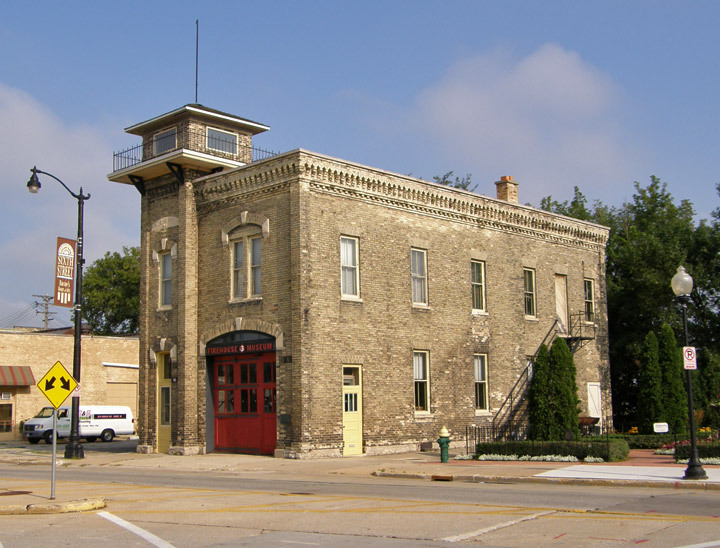 Racine also had its share of captains of industry, including J. I. Case (heavy equipment), S.C. Johnson (cleaning and chemical products), Secor, and many others. In 1887, malted milk was invented by Englishman William Horlick in Racine, and Horlicks remains a global brand. The garbage disposal was invented in 1927 by architect John Hammes of Racine. He founded the company In-Sink-Erator in Racine, which still produces millions of garbage disposers a year. 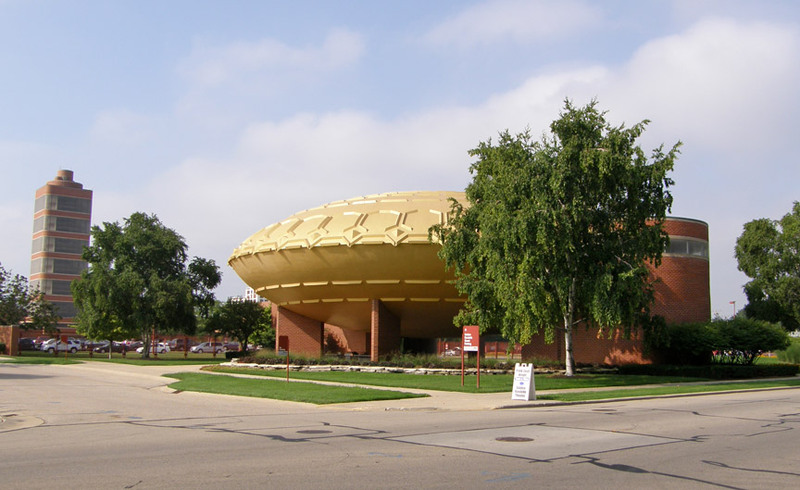 In addition, Racine is the home of Johnson Wax, with its headquarters designed in 1936 by Frank Lloyd Wright, who also designed the Wingspread Conference Center and two homes in Racine. 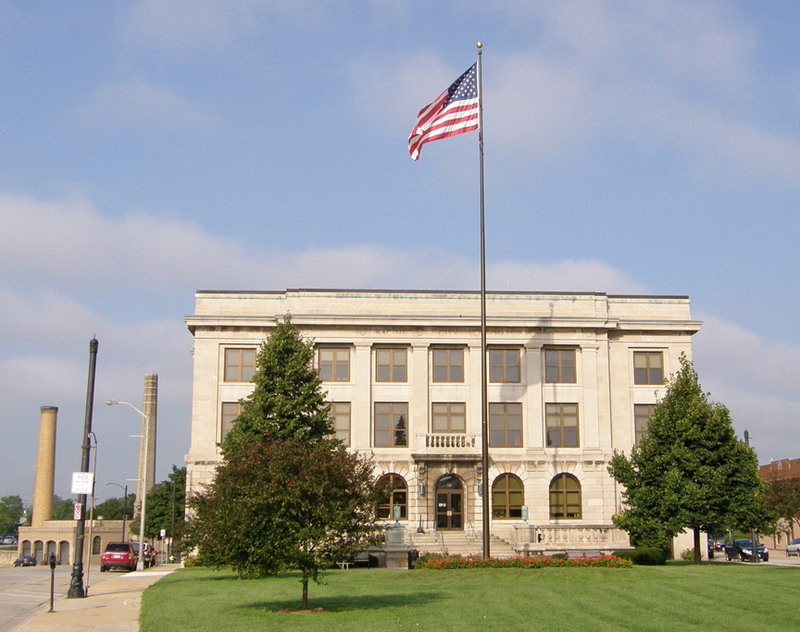 The city is also home to the Dremel Corporation as well as Twin Disc. 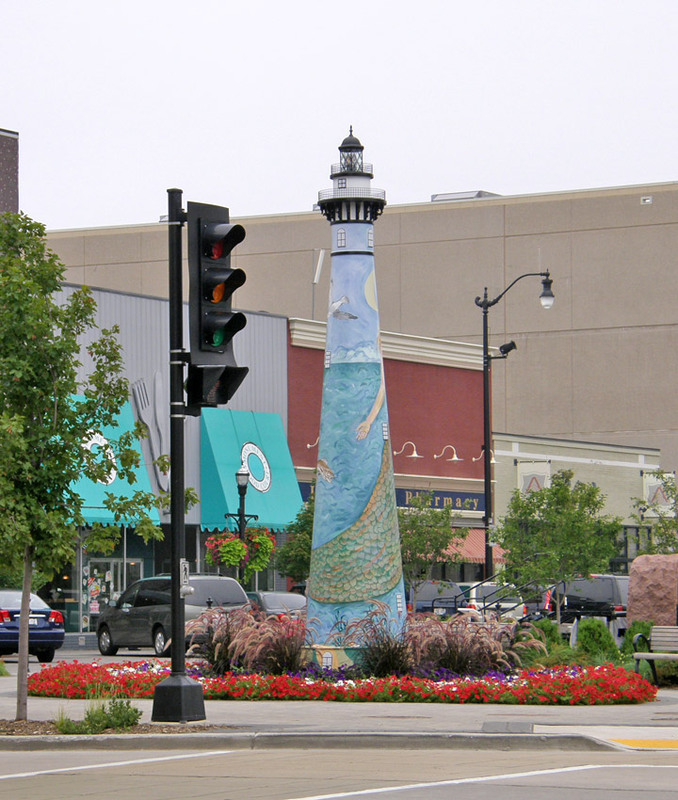 (Lighthouse town "Logo" on the steps"
Racine claims to be the largest North American settlement of Danes outside of Greenland. 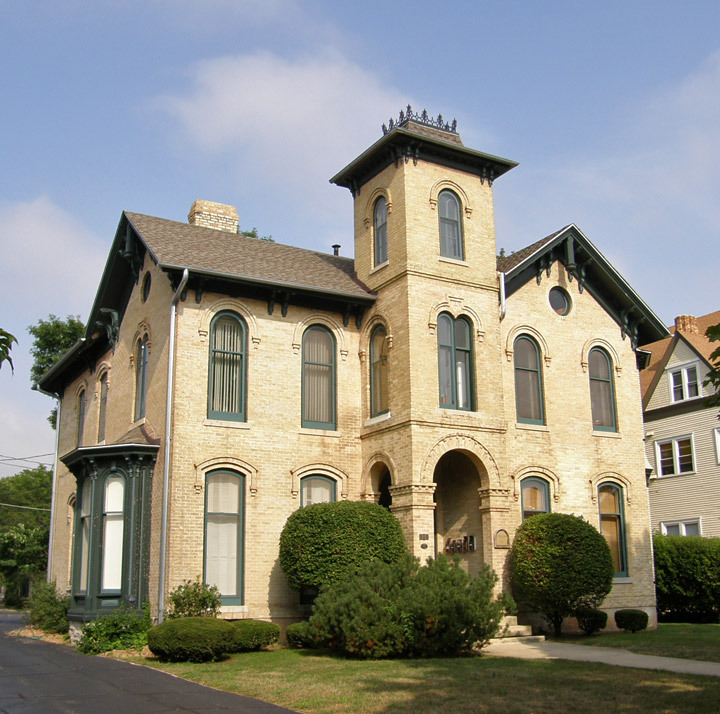 Racine is particularly known for its Danish pastries, especially kringle. 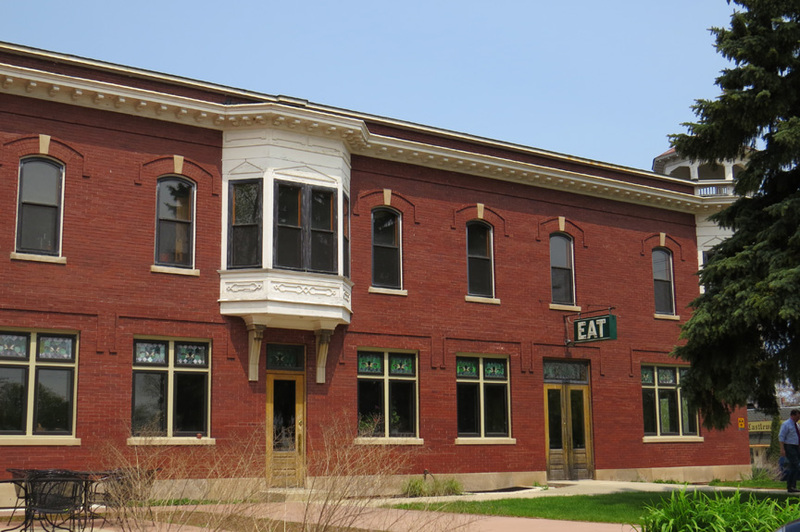 Several bakeries have been featured on Food Network. 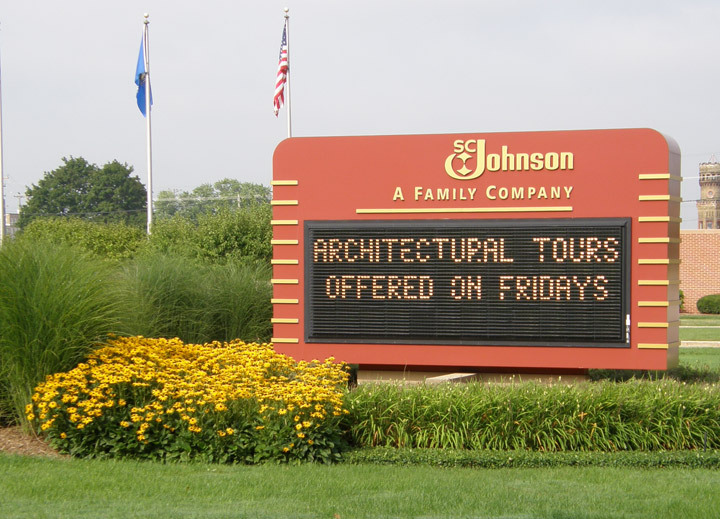 Johnson Wax Headquarters (1936-1939), the world headquarters and administration building of the SC Johnson Wax Company in Racine, Wisconsin was designed by American architect, Frank Lloyd Wright, for the company's president, Herbert F. "Hib" Johnson. 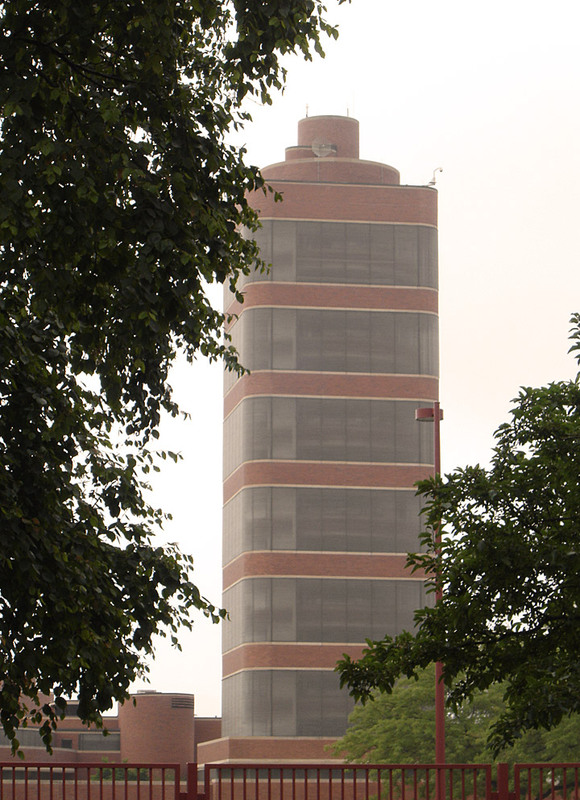 An example of streamlined design, the Johnson Wax Administration Building, as it is also known, has over 200 types of curved red bricks making up the exterior and interior of the building, and Pyrex glass tubing from the ceiling and clerestories to let in soft light. 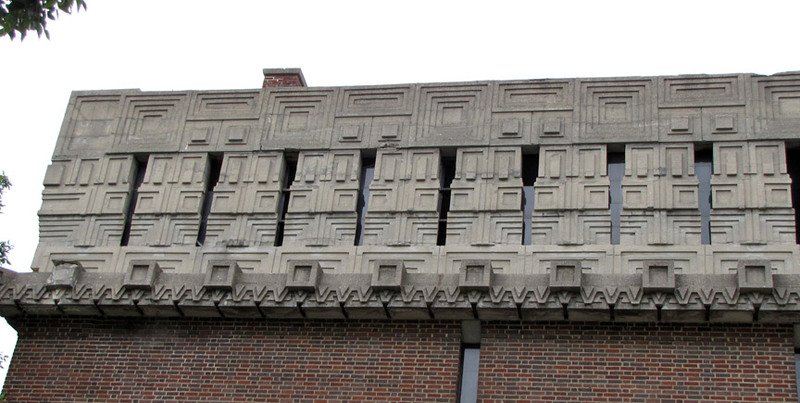 The colors that Frank Lloyd Wright chose for the Johnson Wax building are cream (for the columns and mortar) and "Cherokee Red" for the floors, bricks, and furniture. 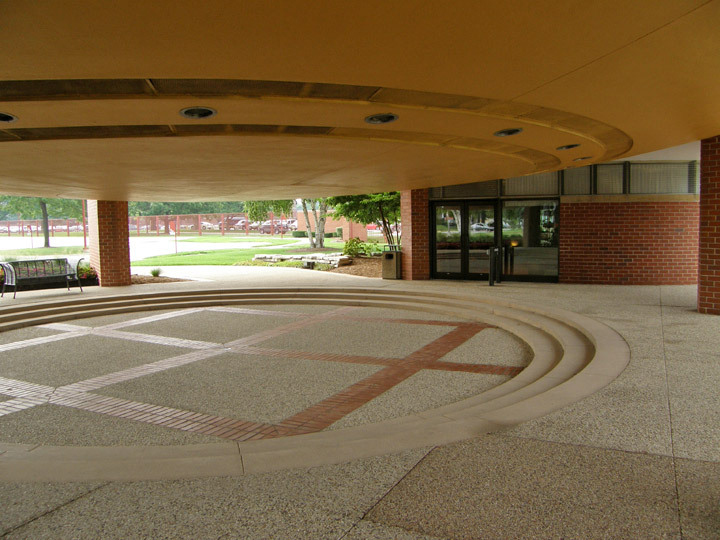 The furniture, also designed by the architect, and manufactured by Steelcase, Inc., echoes the curving lines of the building. 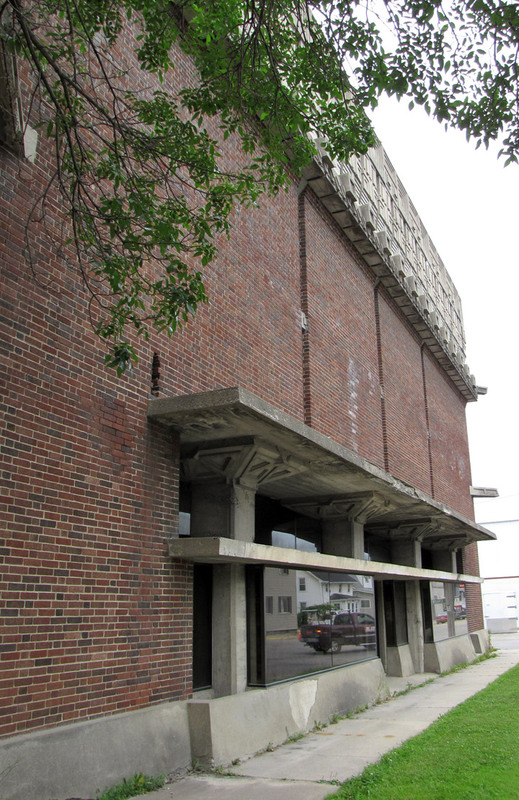 One approaches the building by walking underneath the 14-story tall Johnson Wax Research Tower (1944-1951) and through a low parking lot, which is supported by steel-reinforced "dendriform" (tree-shaped) concrete columns. 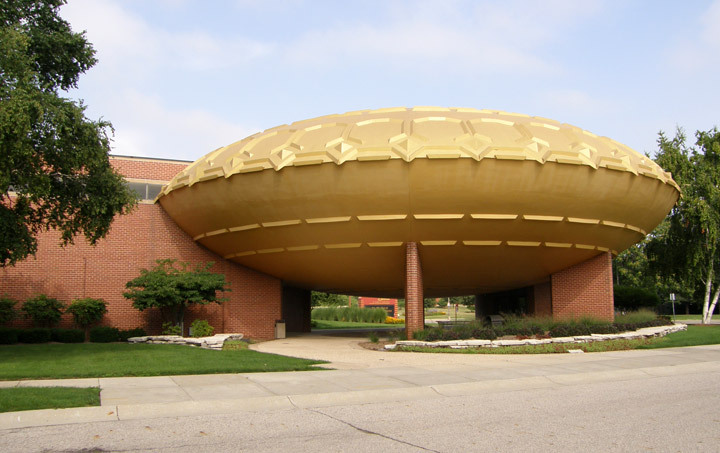 The parking lot ceiling creates a compression of space, and the dendriform columns are echoed inside the building, where they rise over two stories tall, supporting the structure's roof. This rise in height when one enters the administration building creates a release of spatial compression. 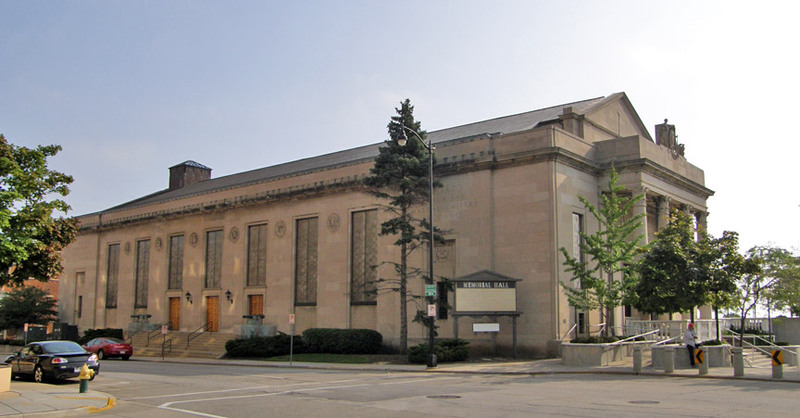 Compression and release of space were concepts that Wright used in many of his designs, including the playroom in his Oak Park Home and Studio, the Unity Temple in Oak Park, Illinois, the Solomon R. Guggenheim Museum in New York City, and many others. 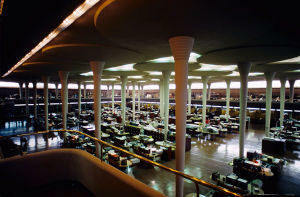 The largest expanse of space in the Johnson Wax building is the Great Workroom, as Wright called it. This open area has no internal walls and was intended for secretaries of the Johnson Wax company, while a mezzanine holds the administrators. 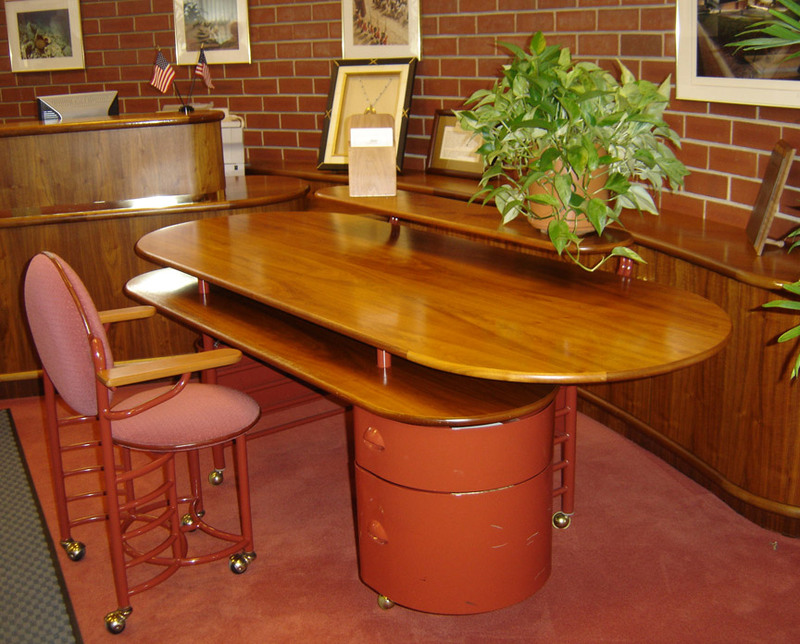 desk designed by Frank Lloyd Wright for the "Great Workroom"
The construction of the Johnson Wax building did create controversies for the architect. In the Great Workroom, the dendriform columns are 9 inches (23 cm) in diameter at the bottom and 18 feet (550 cm) in diameter at the top, on a wide, round platform that Wright termed, the "lily pad." This difference in diameter between the bottom and top of the column was not according to building codes at the time. 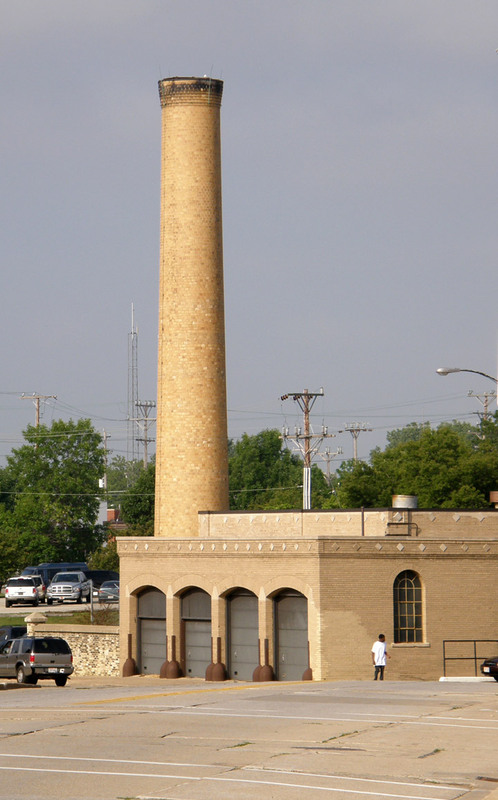 Building inspectors required that a test column be built and loaded with twelve tons of material. 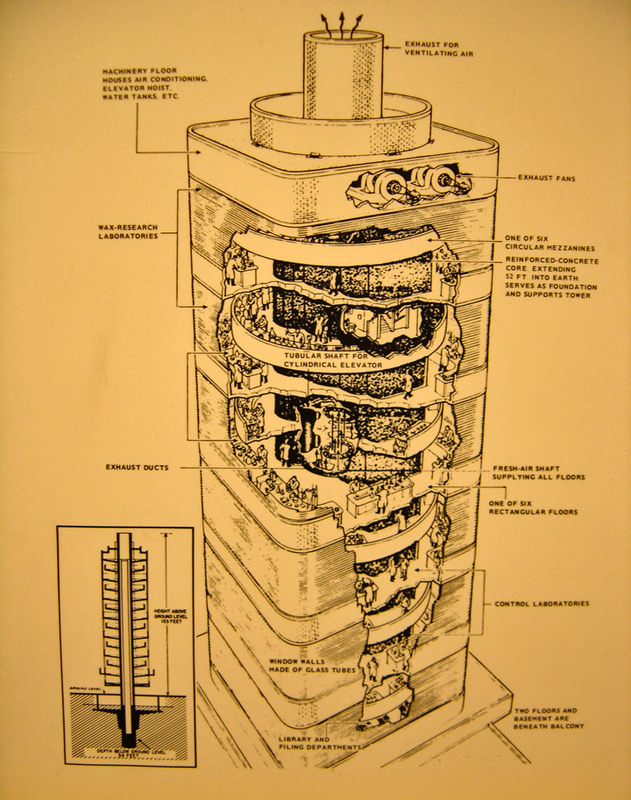 The test column, once it was built, was loaded with sixty tons of materials before the "calyx", or part of the column that meets the lily pad, cracked (crashing the 60 tons of materials to the ground, and bursting a water main 30 feet underground). 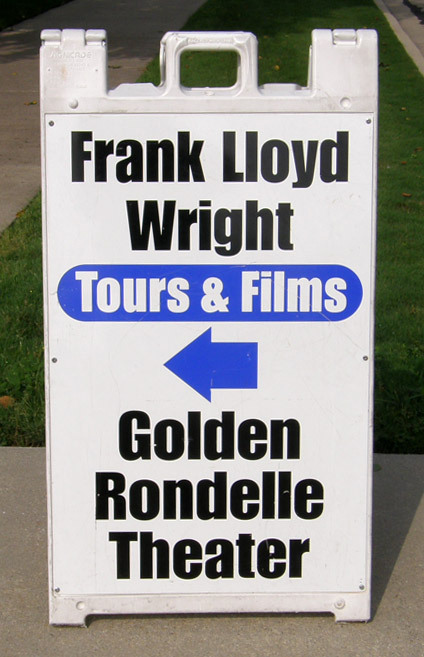 Wright was given his building permit after this demonstration. Additionally, it was very difficult to properly seal the glass tubing of the clerestories and roof, thus causing leaks. This problem was not solved until rubber gaskets were placed between the tubes, and corrugated plastic was used in the roof to seal it, while mimicking the glass tubes. And finally, Wright's chair design for Johnson Wax originally only had three legs, supposedly to encourage better posture (because one would have to keep both feet on the ground at all times to sit in it). However, the chair design proved too unstable, tipping very easily. 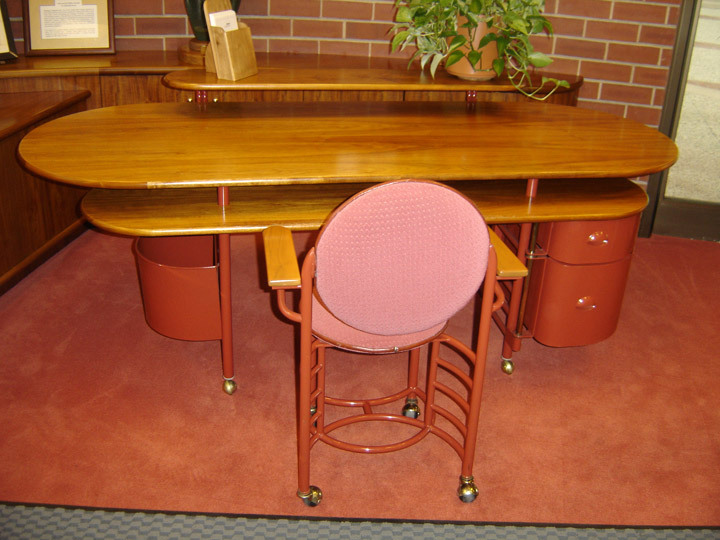 Herbert Johnson, needing a new chair design, purportedly asked Wright to sit in one of the three-legged chairs and, after Wright fell from the chair, the architect designed new chairs for Johnson Wax with four legs; these chairs, and the other office furniture designed by Wright, are still used. 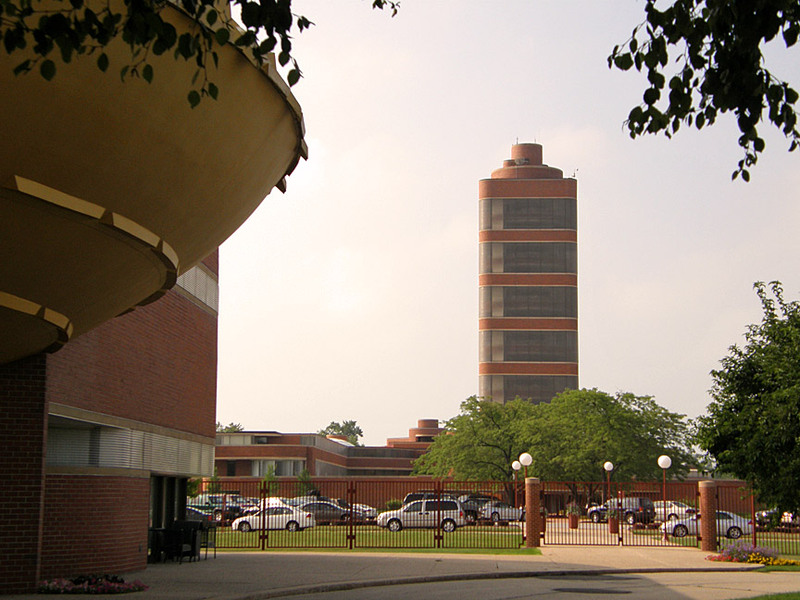 Despite these problems, Johnson was pleased with the building design, and later commissioned the Research Tower, and a house from Wright known as Wingspread. The Research Tower is no longer in use because of the change in fire safety codes. 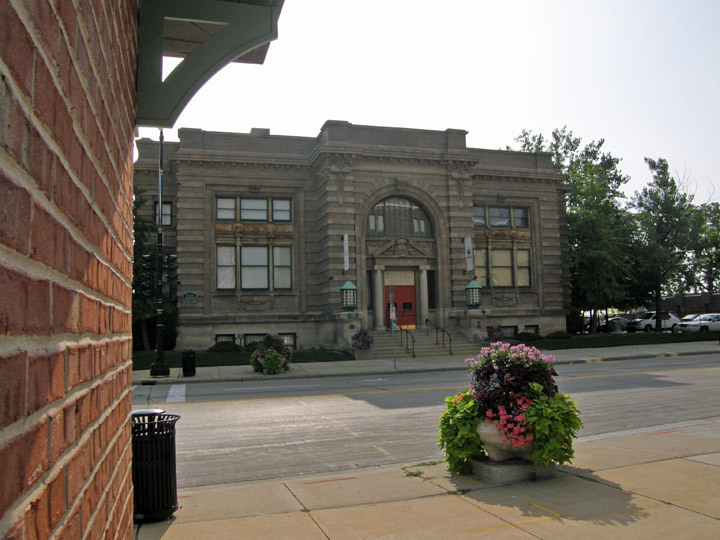 The Johnson Wax buildings are on the National Register of Historic Places, and the Administration Building and the Research Tower were each chosen by the American Institute of Architects as two of seventeen buildings by the architect to be retained as examples of his contribution to American culture. 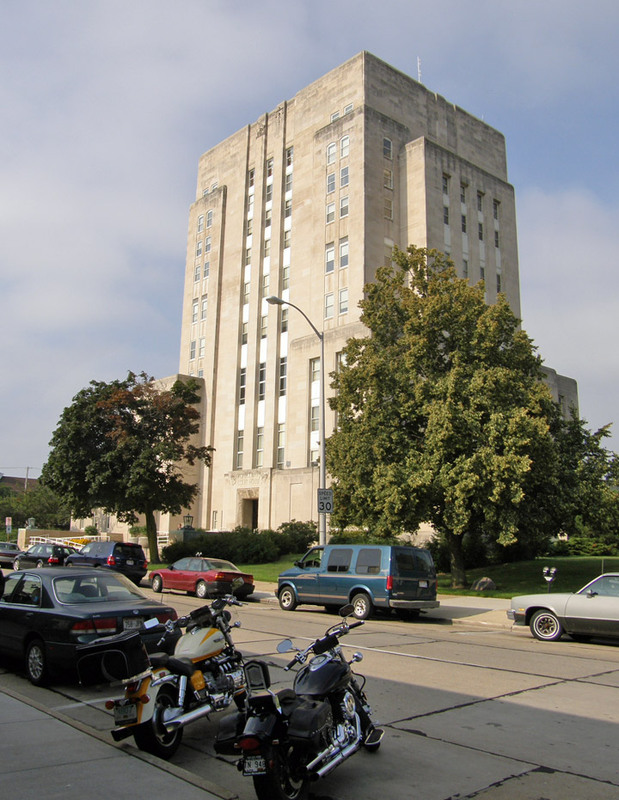 In addition, the Administration Building and Research Tower were both designated National Historic Landmarks in 1976.